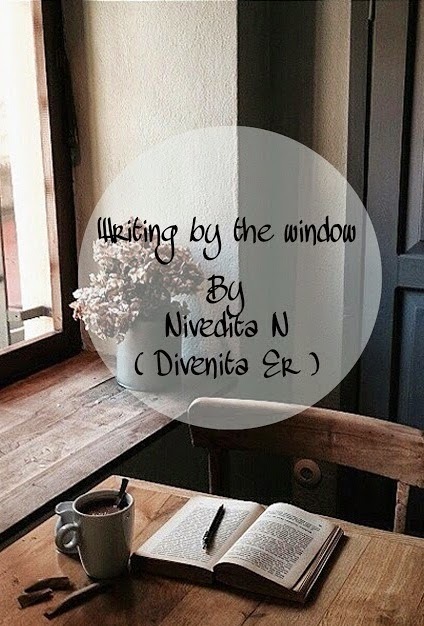 I recently read, Writing By The Window, a book which is a collection of prose, poetry and phroetry written by Nivedita N with an equally apt cover design. The book is published by Parantheses Phroetry Press which was started this year to encourage free verse with an aim to infuse different forms of arts with a message or a noble or a novel thought behind it with writing. Image Credits/Copyright are with the author of the book. This image has been used for reference only. When I started reading through the index, I came across some interesting titles like House No 4, Street Number Ten and Menstrual Cycle of the Pen and I was assured that I will be reading some really good stuff. The best part of the book is that it takes you through various emotions and is not stuck on one single emotion. There is affection, there is belonging, there is love, there are memories and then amongst other emotions the most prominent is expression. The first poem, House No 4. Street Number Ten will take you through the memory lanes of your native/first home if you are away from it. Next couple of poems will take you through the memories of your family members, the happiness of meeting an old friend. Another set of poems take you through Love more prominently. Menstrual Cycle Of The Pen, is beautifully dedicated to writers companion. For the first time ever I came across Jorios and as per the book they are four lines and each line contains four words. It must capture a moment and none of the lines must rhyme. I loved this section of the book as well. One of my favorite lines from the book, "It’s not the ingredients of the tea but your company that makes it a delicacy", is from the poem titled Tea and dedicated to same. The book also has a poem titled Jogwa which is dedicated to the marathi movie of the same name, I have seen the movie and must say that the 22 line poem sums up the entire movie. Another poem, As AP Dies is about the recent separation of Telangana region from Andhra Pradesh. The last two poems are titled Sitae and Draupadi and Krishna. I will iterate that I loved reading the book, and if you are keen to reading through various emotions do read the book. You can order this book from Amazon.